Greg spends most of his time on project sites, working closely with the team. He enjoys new challenges and any builds that require a lot of customization – for Greg, the more detailed the work, the better. He also takes pride in teaching his team the tradition of stick framing in the right way. Greg believes in doing things the right way, the first time, and loves to see their projects come together. When he’s not on the job, Greg loves spending time with their three children, Grace, Mason and Isabella. Luckily, Grace, Mason and Isabella are no strangers to the project sites and they aren’t afraid to visit dad at work! 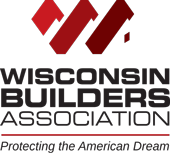 Greg is also a major Wisconsin sports fan – he’s a Badger, Brewer, and Packer fan all the way! When he can find free time, he likes to restore classic cars and spend time outside. Wendy began her administrative career as an office manager for a fire protection company. It was there that she learned everything from customer service, to brokering deals. 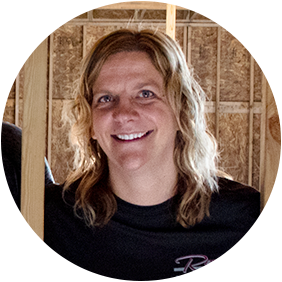 Her natural sense of humor and attention to detail were a perfect fit for clients when she and Greg started Renz Construction ten years ago. Her tenacious attitude and drive helps to keep projects on time. Wendy often visits work sites to take detailed photos of projects to keep her clients in-the-know at all times. With Mason and Isabella in-toe, Wendy meets with all members of the project, from architects to engineers to clients, to make sure all projects run smoothly and to her clients’ standards. To ensure their clients have an amazing experience, Wendy tackles all the paperwork. From researching local codes to pulling permits, Wendy is the reason projects move forward quickly! Wendy acts on behalf of all their clients, going to local municipality meetings to get all permits and paperwork approved on-time. When Wendy isn’t in the office or at the job site, she’s usually spending time with Grace, Mason and Bella. Wendy loves gardening, walking their dog, Chewbacca, and taking in a movie with the whole family. Just like Greg, she’s an avid Wisconsin sports fan, and they all enjoy watching games together. 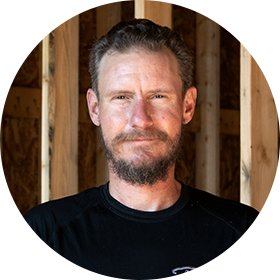 Andrew is a professional carpenter with over 21 years of experience and he’s spent the last five years working with Renz Construction. Andrew started working with hand tools at a very young age with his dad. He discovered that he really liked building things out of wood and by the age of 14 he knew he wanted to make a profession out of it. Andrew loves that he gets to use both his imagination and his hands to create things out of wood, that show the beauty of the material, and that are functional. It is very rewarding for him to see the end result. Some of his favorite projects involve custom decking. 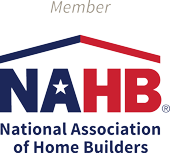 He enjoys the all of the thought and calculation that goes into building decks that are the perfect fit for a home. When Andrew isn’t on the job site, he is spending time working on his own woodworking projects including wood burning and wood carving. When he’s not pursuing his passion, he spends time kayaking and connecting with nature. 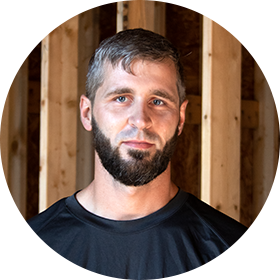 Nick is a newer addition to the Renz team and joined freshly out of high school after finding a love for carpentry in his building trade classes. He has over a year and a half of experience in the field and on the Renz team. He loves to work with his hands and create great things that bring joy to other people. 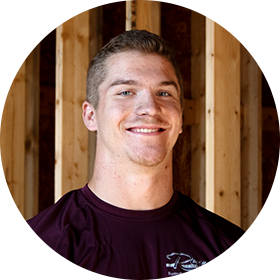 He really enjoys working with a great group of people who work well together and is especially excited about the large-scale lake home they are working on currently. When Nick isn’t learning everything he can on the job, he spends time working out and hanging out with friends. He also spends time making small furniture for his home. 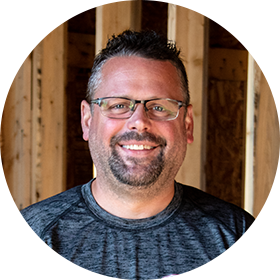 Mike is the newest member of Renz Construction and brings over 10 years of experience to the team. He learned in high school that he had a passion for construction and took all the classes he could to support it. His favorite part of working as a carpenter is seeing the finished project. In fact, he’s really looking forward to seeing the outcome of the new lake home on Pine Lake. When he’s not working with Renz Construction, he spends his time riding his motorcycle and fishing.